We have been very lucky to get some amazing fruit from our steep north facing block from the Cardiac Hill Vineyard in Bennett Valley. The next two vintages , yields were down by 50%, so we are happy to have a bit to go around this time. 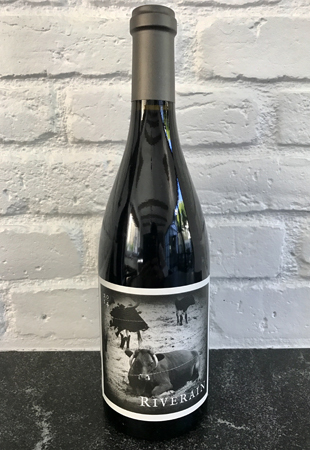 As before, we vinify this like Syrah, not just another big red wine, meaning older oak barrels, 40% whole cluster for spice and structure and big extract that gives this wine its Jimi Hendrix electric purple color (for the geeks out there, this is all Estrella River Clone, count us among you). Our Cote Rotie styled Syrah from a steep north facing slope. This is near black, with a violet rim. This reminds me of the 2012, with prominent blackberry, black olive and cracked pepper. The tannin and acids are well integrated. Thick, but more approachable than the 2013, this will age for many years. The whole cluster adds the spice and the aroma and flavor profiles scream Syrah.